Okay...so the book was written decently and it was borderline interesting, until I realized the enemy was a shadow or shadows, plural. I thought the entire shadow concept as a nemesis was incredibly weak. I honestly lost interest in the book because I thought the shadows were boring. I made it to page 70 and Tony kept seeing shadows everywhere, and it was just getting old. 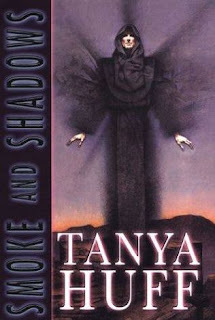 I did, however, LOVE the fact that Tanya Huff made Henry Fitzroy a vampire character! I have always been a fan of everything involving the Tudor monarchy. Unfortunately, Fitzroy's character wasn't enough of a draw for me to stick with the book.